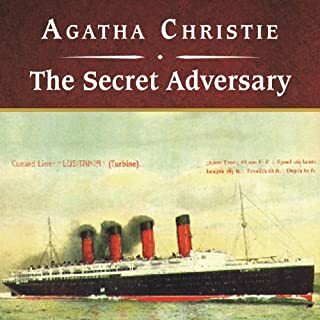 Two of Agatha Christies’ favorite novels now brought together in audio, just for you. Towards Zero: What is the connection among a failed suicide attempt, a wrongful accusation of theft against a schoolgirl, and the romantic life of a famous tennis player? To the casual observer, apparently nothing. But when a house party gathers at Gull’s Point, the seaside home of an elderly widow, earlier events come to a dramatic head. As Superintendent Battle discovers, it is all part of a carefully laid plan - for murder. Ordeal By Innocence: According to the courts, Jacko Argyle bludgeoned his mother to death with a poker. The sentence was life imprisonment. But when Dr. Arthur Calgary arrives with the proof that confirms Jacko’s innocence, it is too late - Jacko died behind bars following a bout of pneumonia. Worse still, the doctor’s revelations reopen old wounds in the family, increasing the likelihood that the real murderer will strike again. Be sure to catch the rest of the queen of mystery’s stories! These are not only two "murder mysteries", I would characterize them as "literature". The story lines are vintage Agatha Christie, intricate and baffling. But more than that, the books are literate and carry consistent and thoughtful themes throughout. Aside from their entertainment value. these books would be perfect textbooks for a class in how to write. 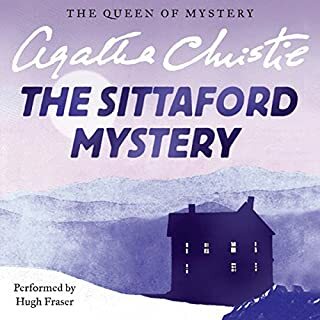 A story that really pulls you in, even though it doesn't feature Poirot (although he is mentioned once) or Miss Marple. The characters spring to life in turn as the book progresses for an engrossing, entertaining mystery. The telling of the story is one of her best.It's almost like you're there! It makes you realize what a talent Agatha Christie really was. Sometimes I look at my audio library and think I should branch out a little in my listening habits, but I find her books so relaxing and yet they make you think long after your listening session is over! I highly recommend this - it is the first of two books, the other being "Ordeal by Innocence". That one I haven't liked much so far - the modern setting and storyline are not quite what I like -in fact it strays quite a bit from her usual style - but we'll see as I listen further to the second book. 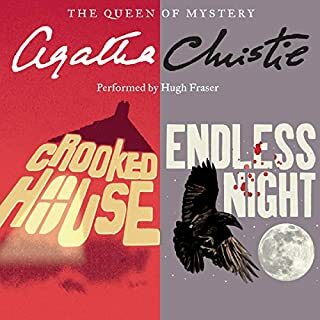 These are two Agatha Christie novels I hadn't ever heard of, but I enjoyed them both and, as always, Hugh Fraser's narration is terrific. 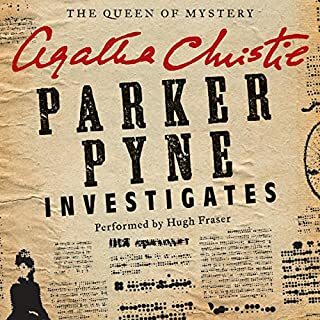 I can always count on Christie and Fraser to deliver enjoyable adventures with good characters for a really good listening experience. 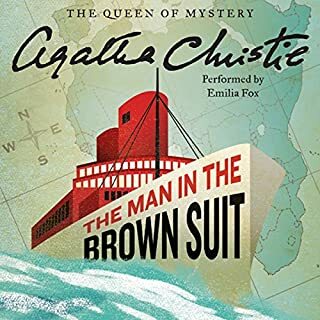 If you don't mind it not being one of Agatha Christie's primary sleuths, then this is a good book. It features a secondary character, Superintendant Battle. 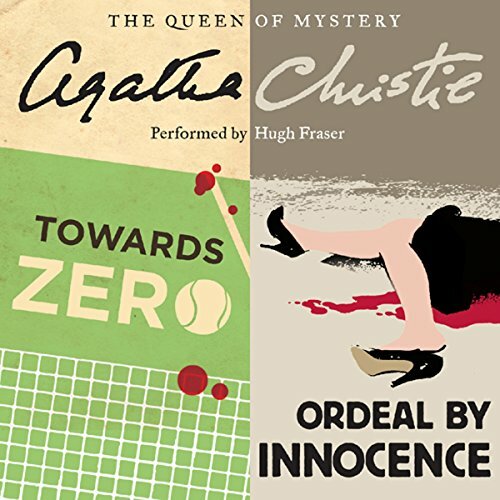 What other book might you compare 'Towards Zero' and 'Ordeal by Innocence' to and why? I have many of Hugh Fraser's readings and they are always wonderful. No, but I was always glad to come back to it. A very satisfying mystery and I recommend the Battle series of books. One of Christie's best I think. Lots of characters so it's a real whodunit. Hugh Fraser is a wonderful narrator. Always a page turner. Always multilple possible murderers. Always a clever story line. Dame Agatha Christie was a clever woman. in reading her tales, I grow more curious about the woman behind those tales. Yes. Towards Zero is one of my favorites, and Ordeal By Innocence is interesting also. I think it shows that Hugh Fraser is familiar with the material and does it justice. About Jews and people of color, she was lamentable, but they don't come up that often, so, time and place as givens, she mostly gets a pass. The Irish come in for their usual drubbing. Drunk and emotional. These failings are shared by most of the writers of the so-called golden age of British detective fiction. (Imperialists, all.) So, brace yourself and disregard when possible. Here, however, she's into genetics. Don't listen to this if you are adopted or, worse still, if you adopted your child. It's what's in the blood that counts in this story. Parents of adopted children are not really parents and can't change the blood destiny of their pseudo-offspring. Seriously, her characters keep saying such parents aren't really parents at all. Most of this book is ruminations on the blood-destiny theme. I haven't finished it. I don't think I can bear to. Hugh Fraser turns in his usual great performance. 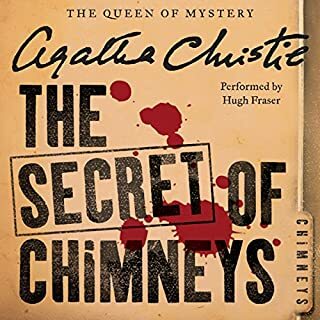 Great narration as always by Hugh Fraser however well read, the story would stagnate with too much “talk” from the characters. This one will not be one I would recommend. 2 Classic Agatha Christie book, without the traditional detectives. The story is somewhat haunting. Hugh Frazier does an excellent job voicing the numerous characters. I usually prefer full cast audio books, but this one is so well voiced as is. He even voices the women’s parts well. It’s a pleasant and immersive experience. Two stand-alone titles from Christie's middle period, and two of her best novels. You know what to expect: cardboard characters and fiendishly clever plotting (note the highly effective use of the characters' physical attributes as clues in 'Towards Zero'). All in all: two all-round jolly good puzzles for the price of one.